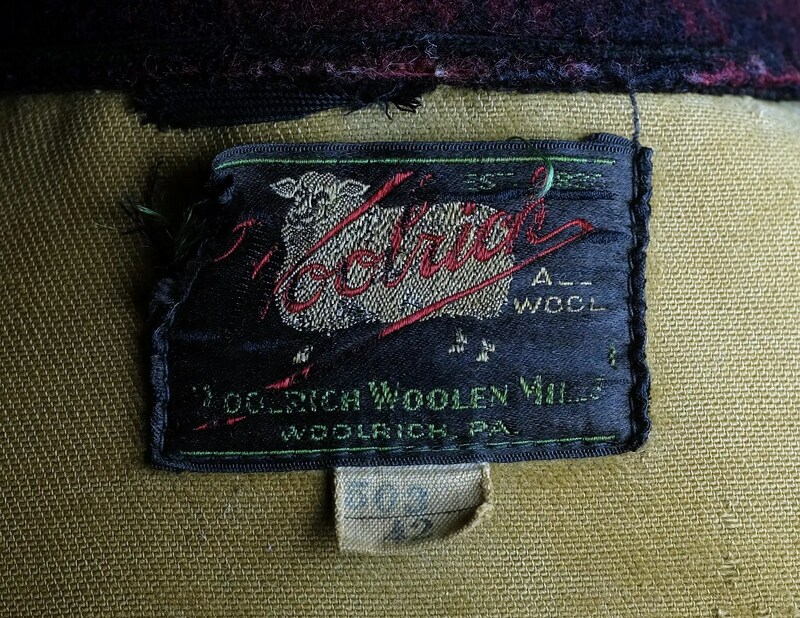 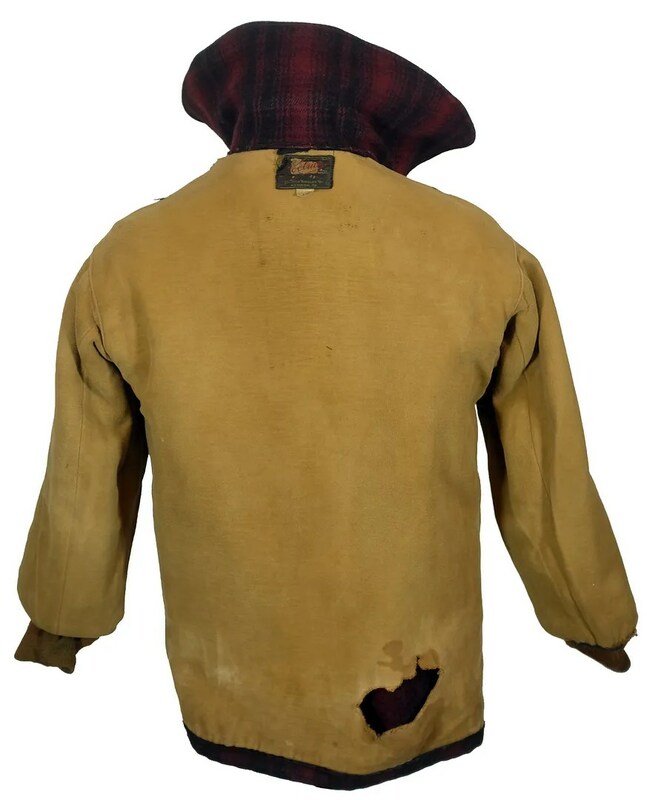 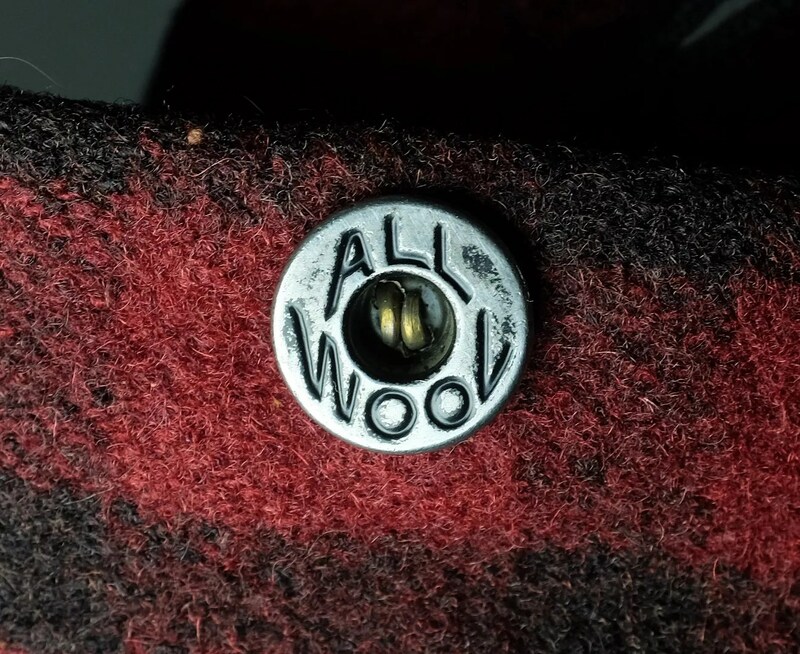 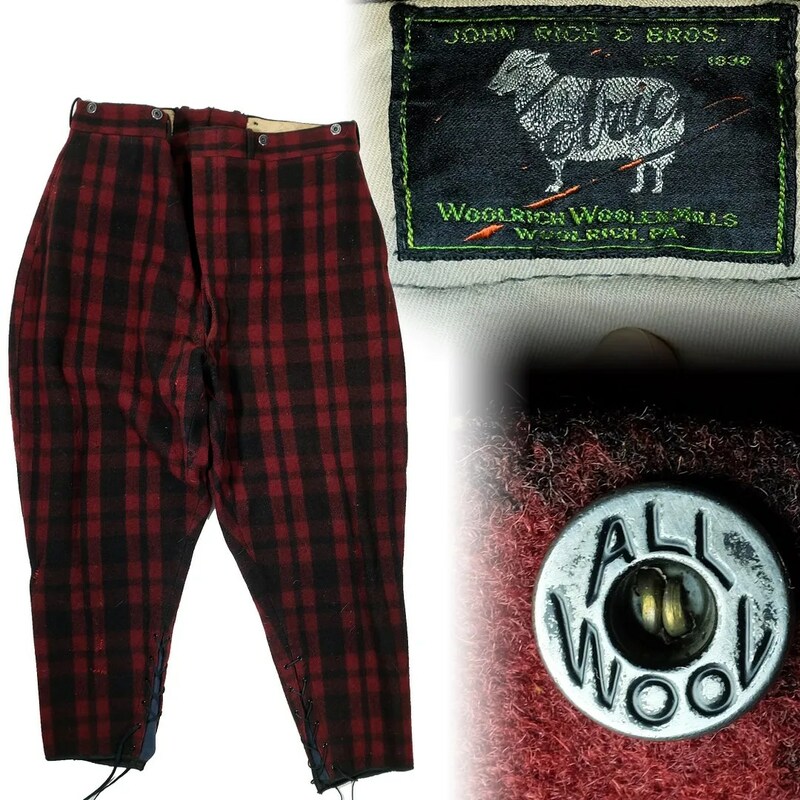 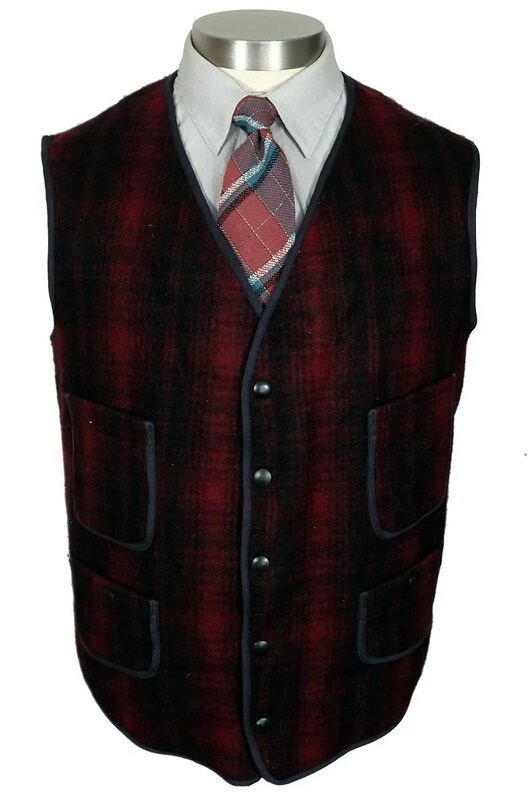 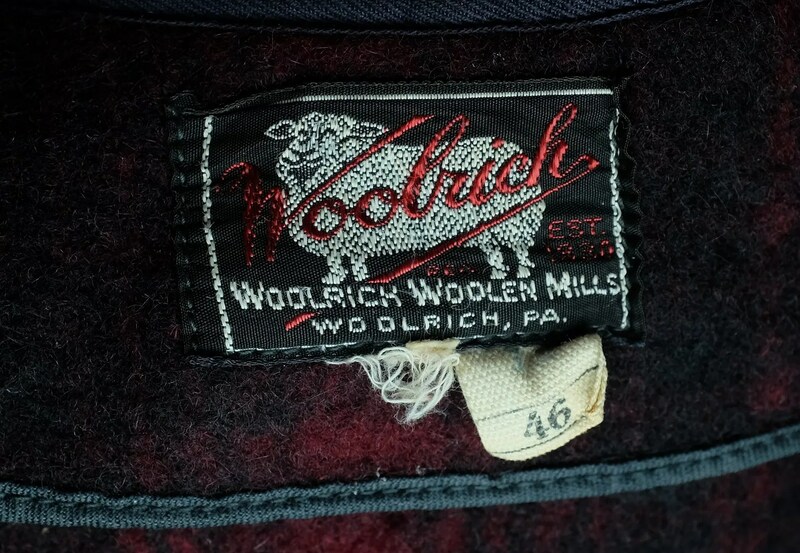 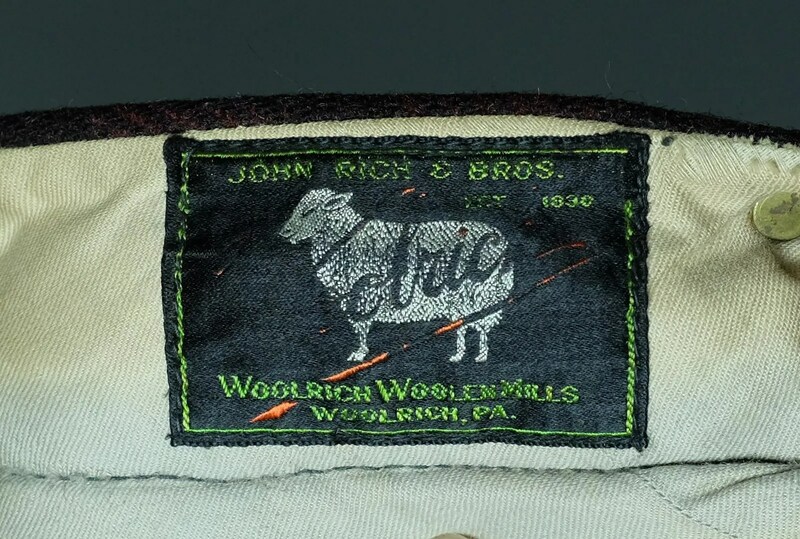 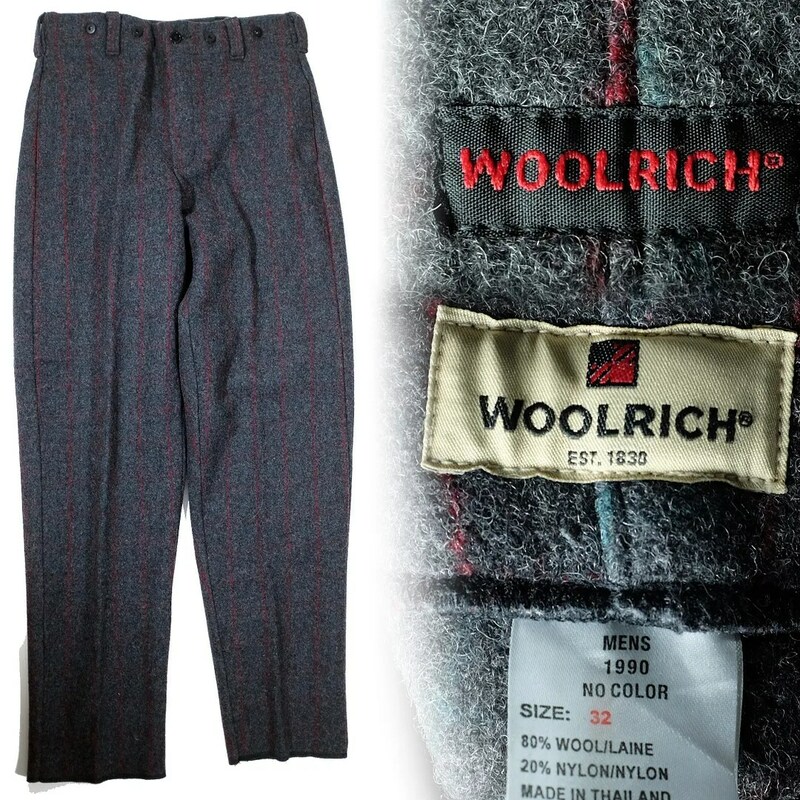 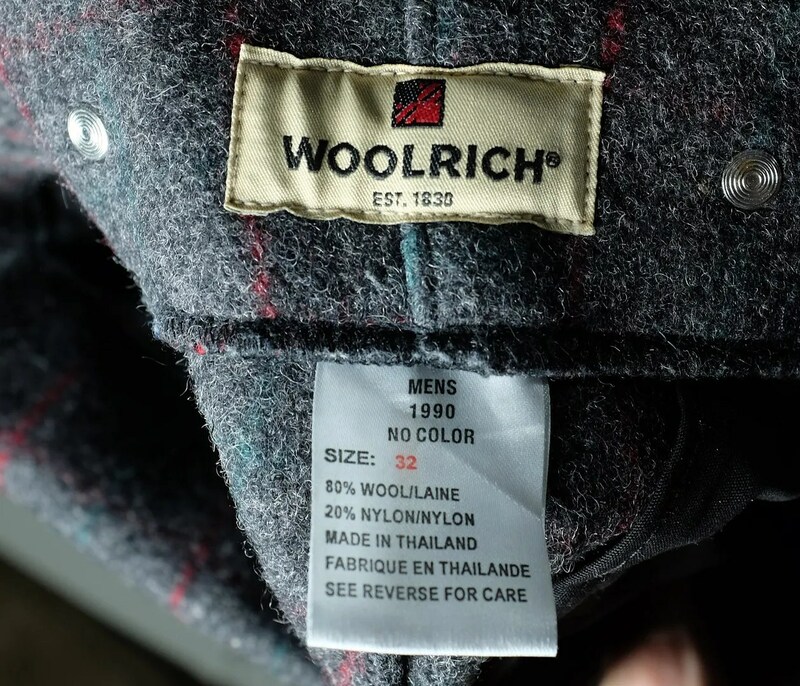 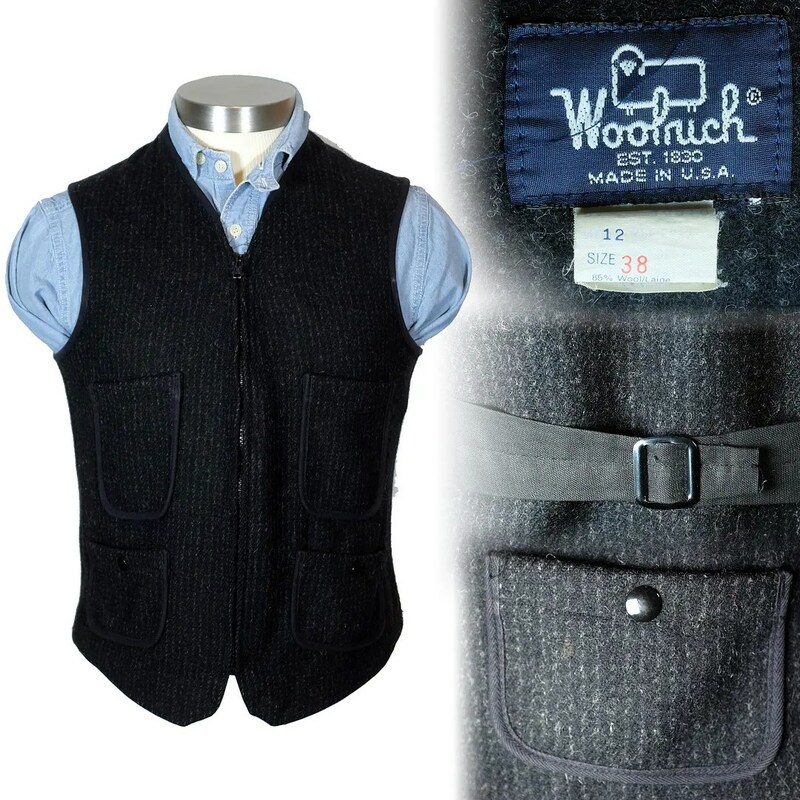 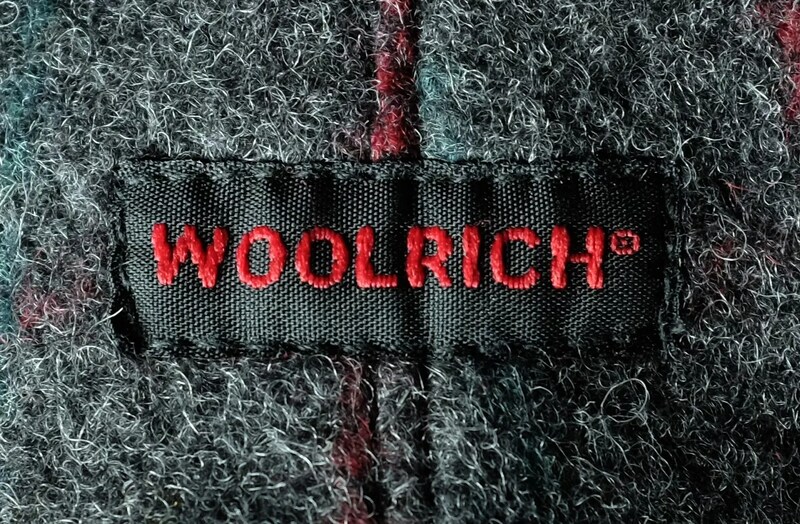 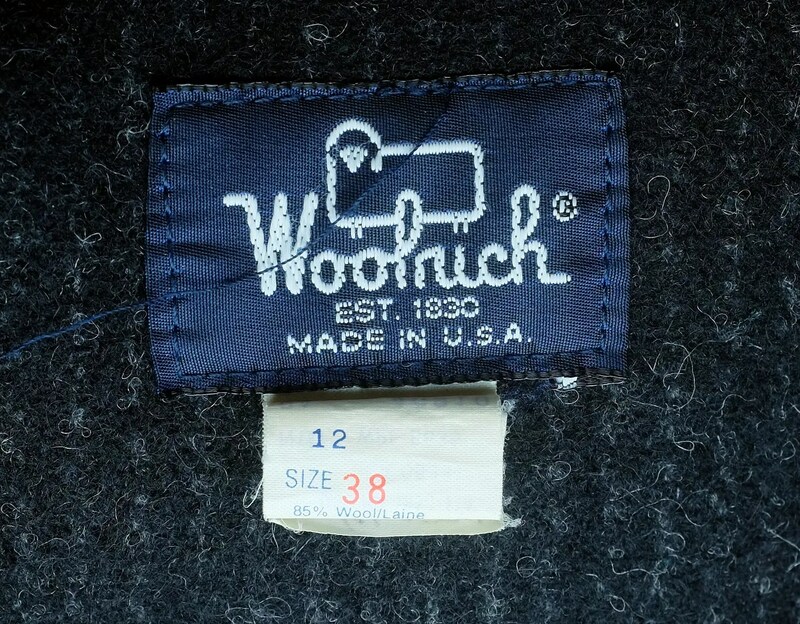 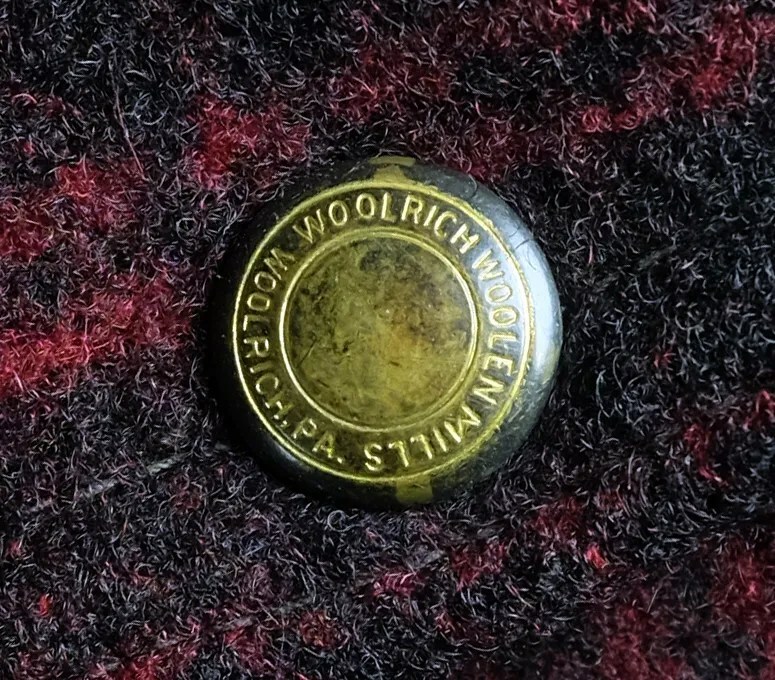 This vintage vest was made in the early-mid 1940s by the Woolrich Woolen Mills of Woolrich, PA. 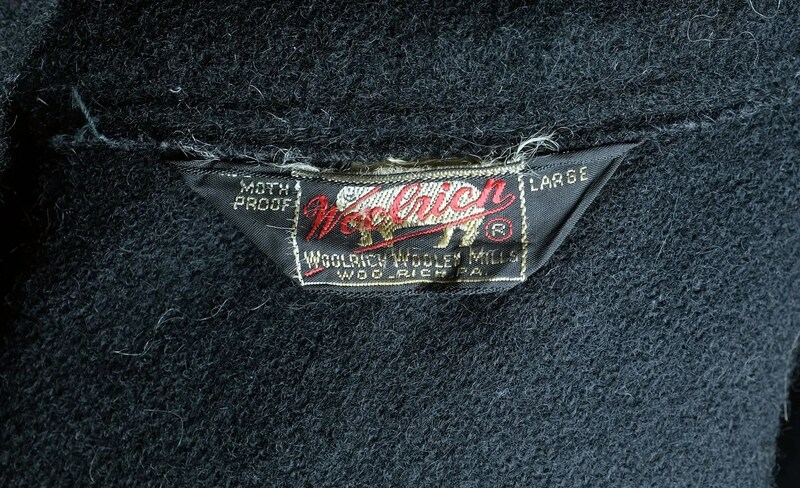 It features their wartime pre-(R) smiling sheel label with a silver border and their wartime plain-top snaps. 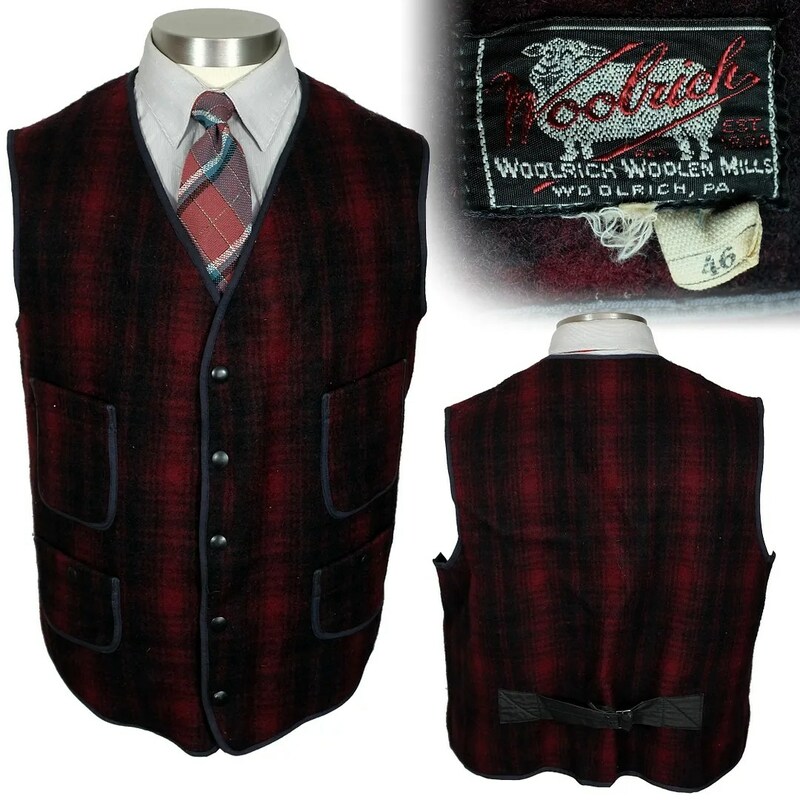 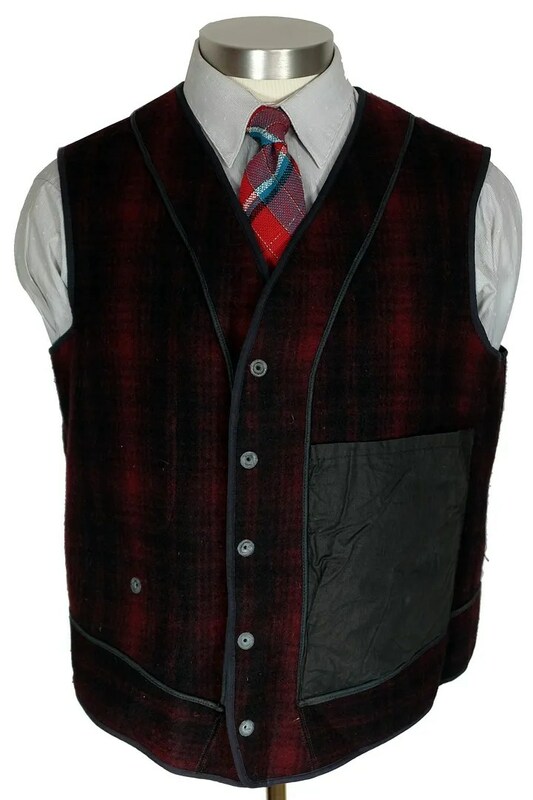 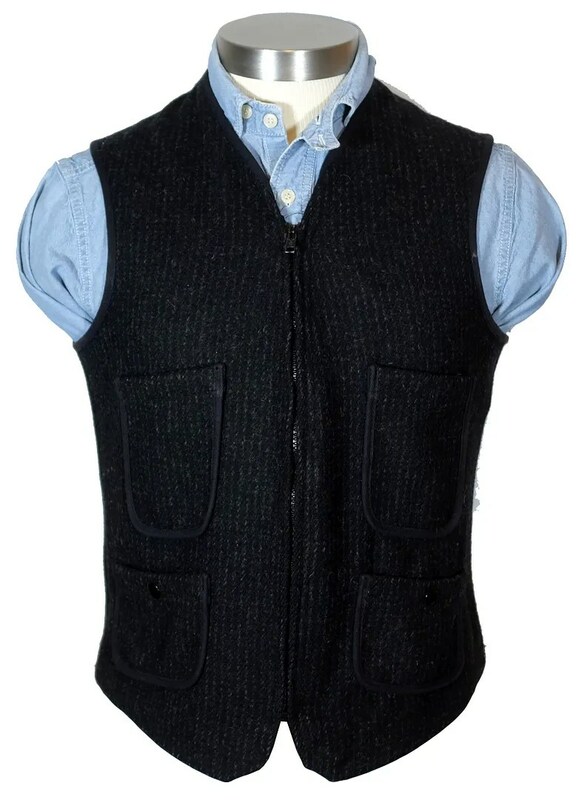 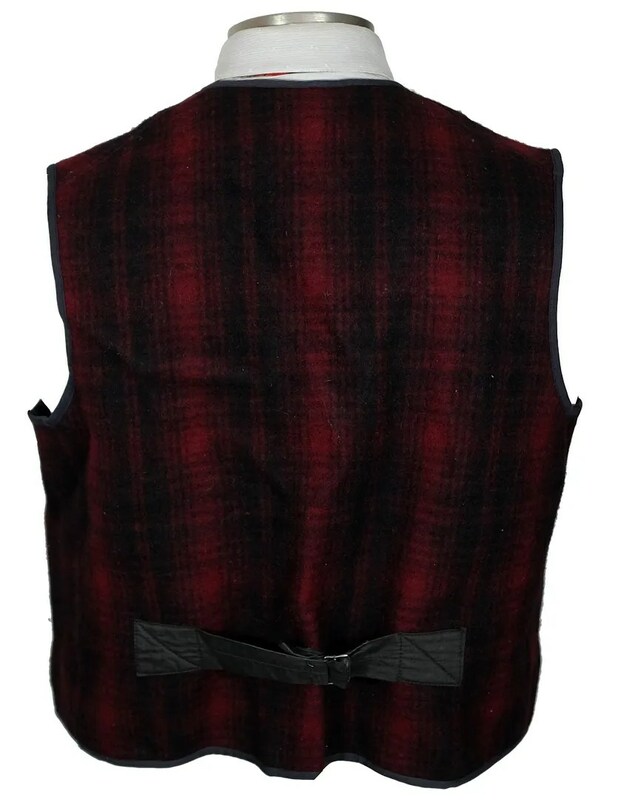 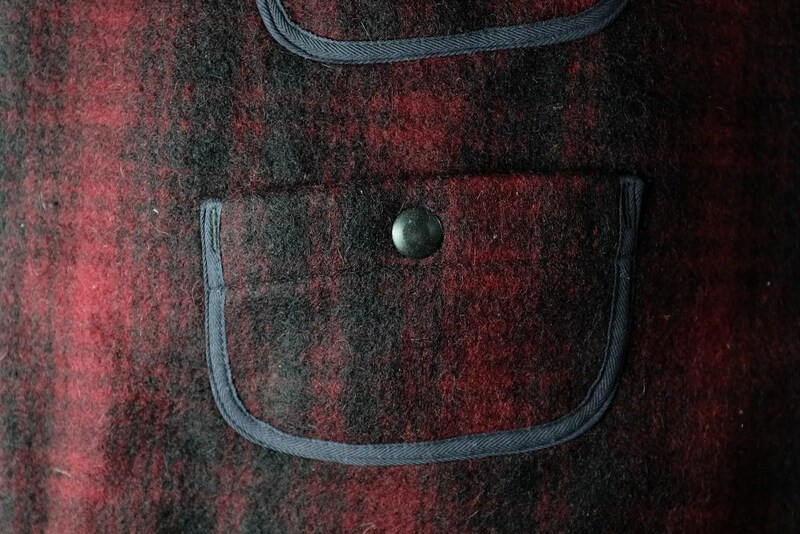 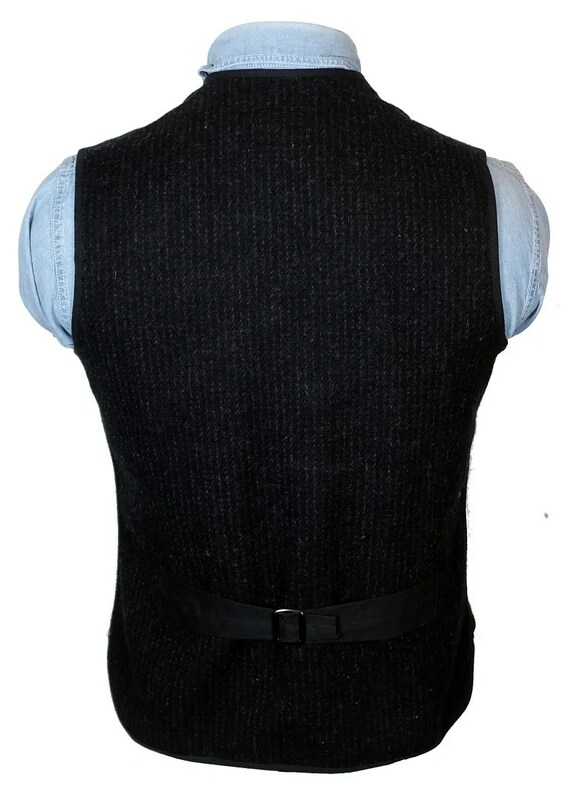 The vest has a four pocket front, snap front, buckle back and one interior pocket. 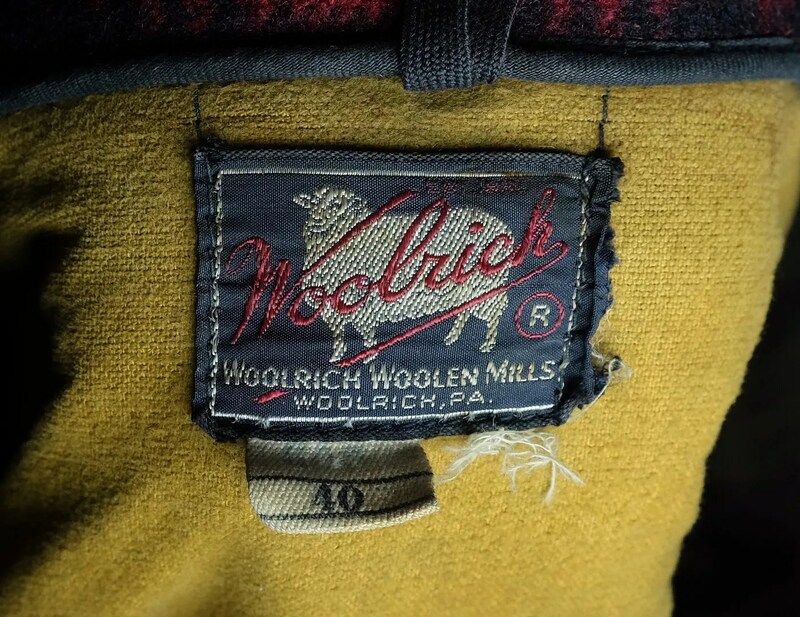 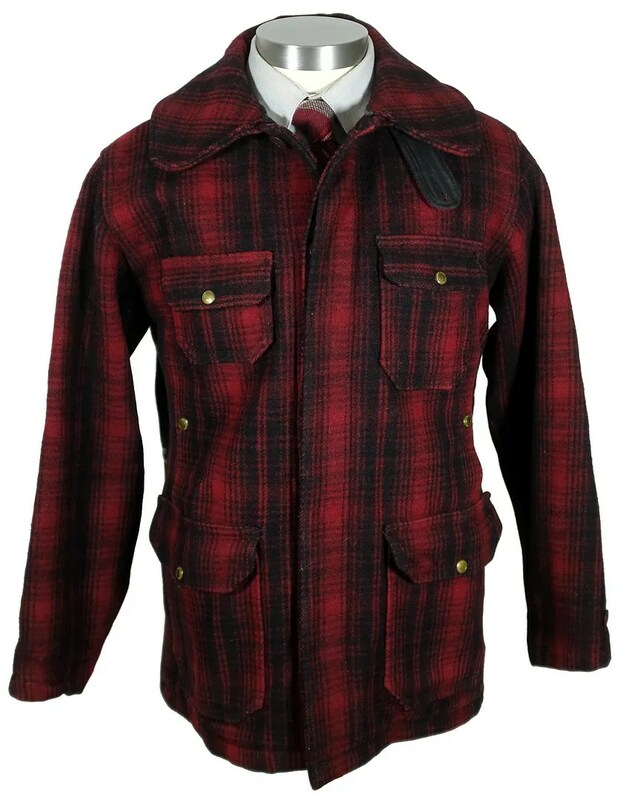 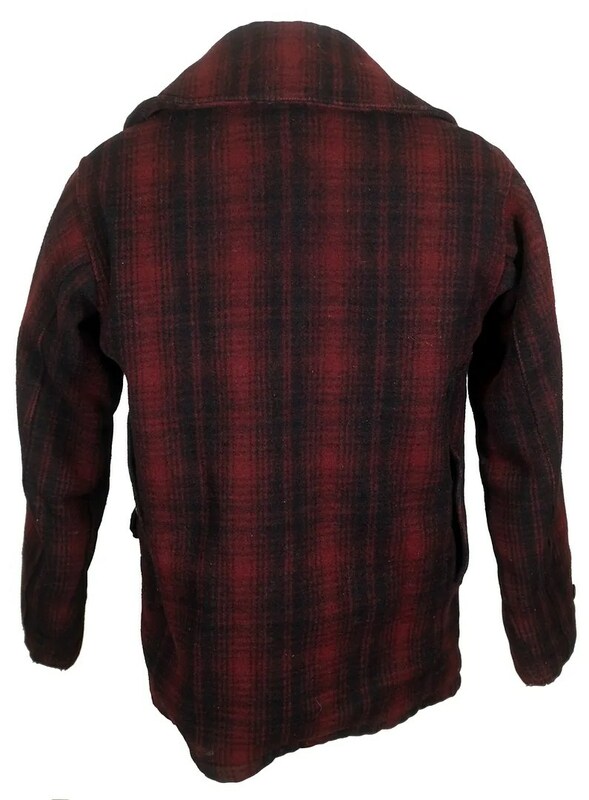 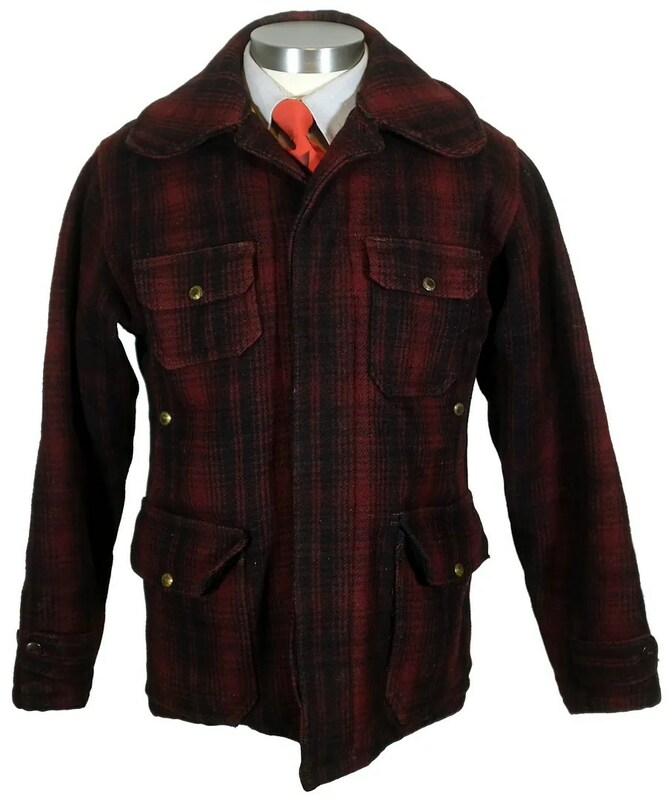 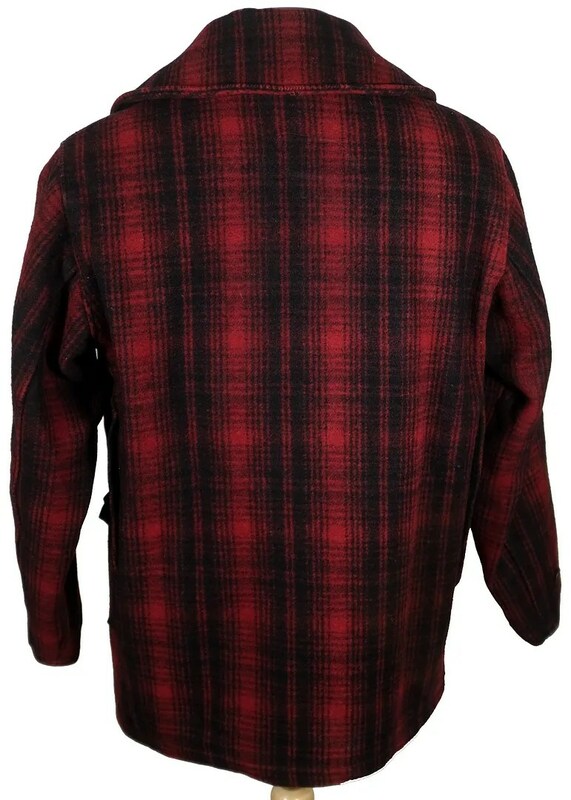 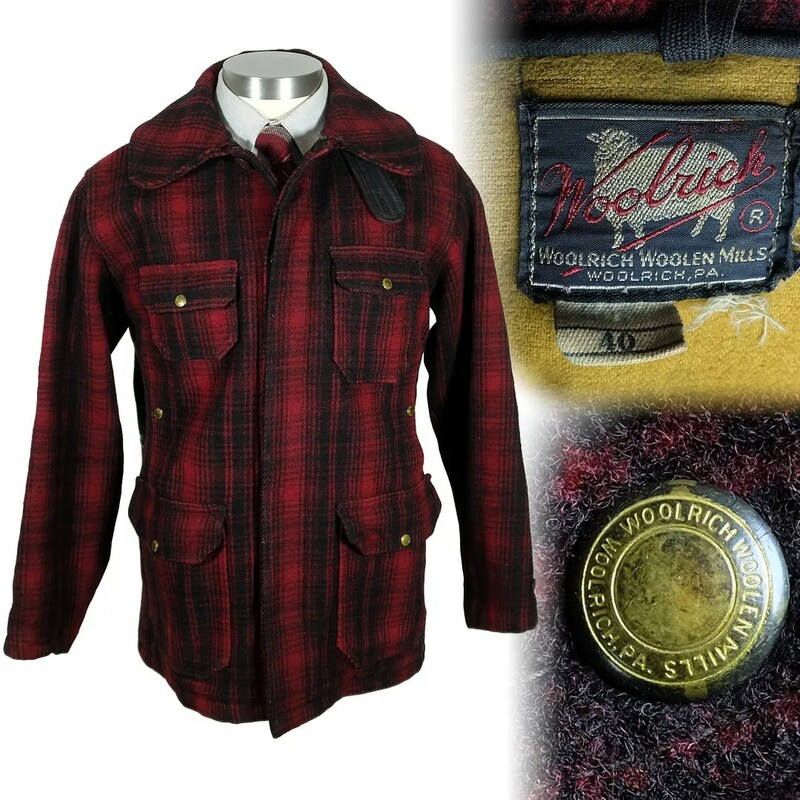 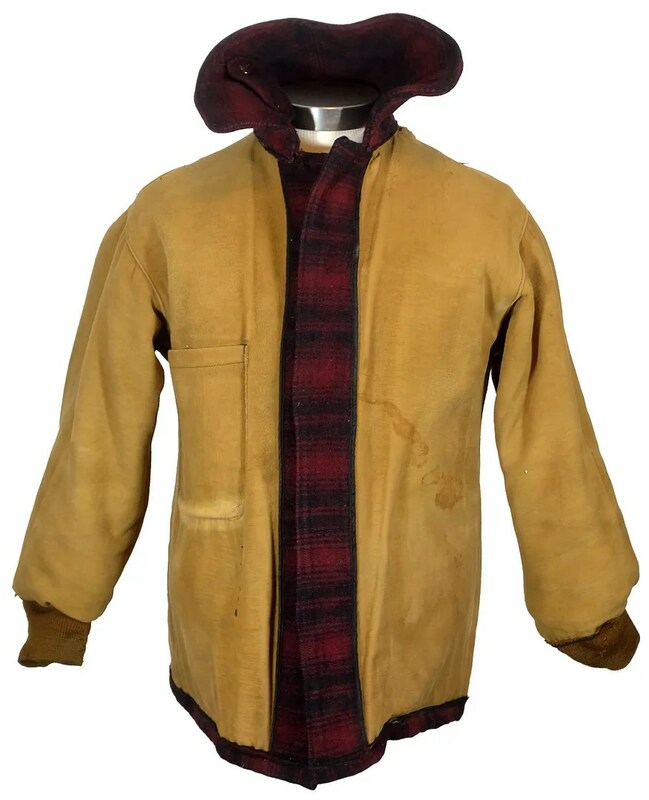 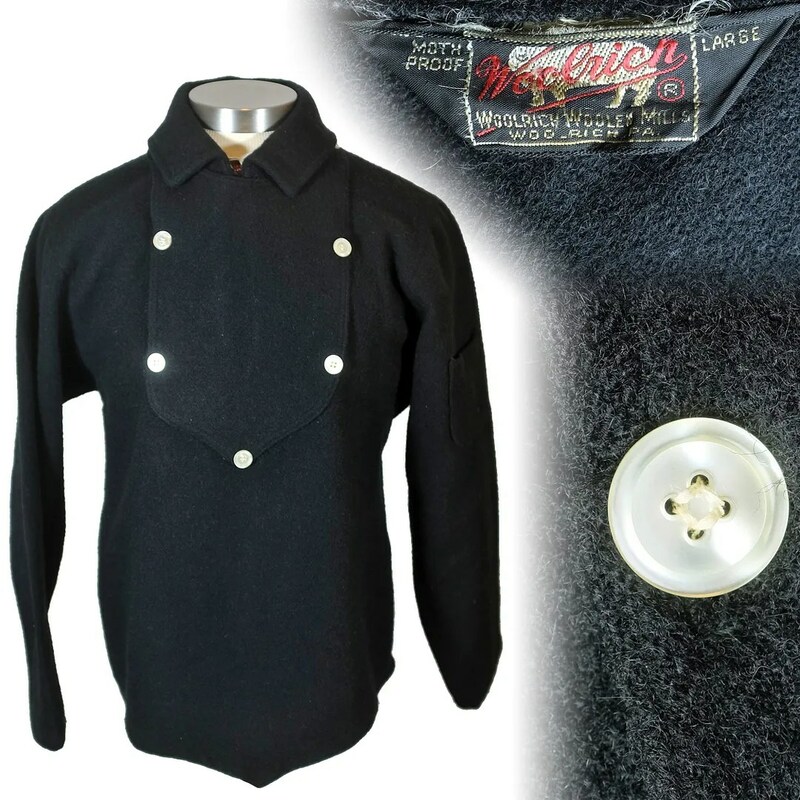 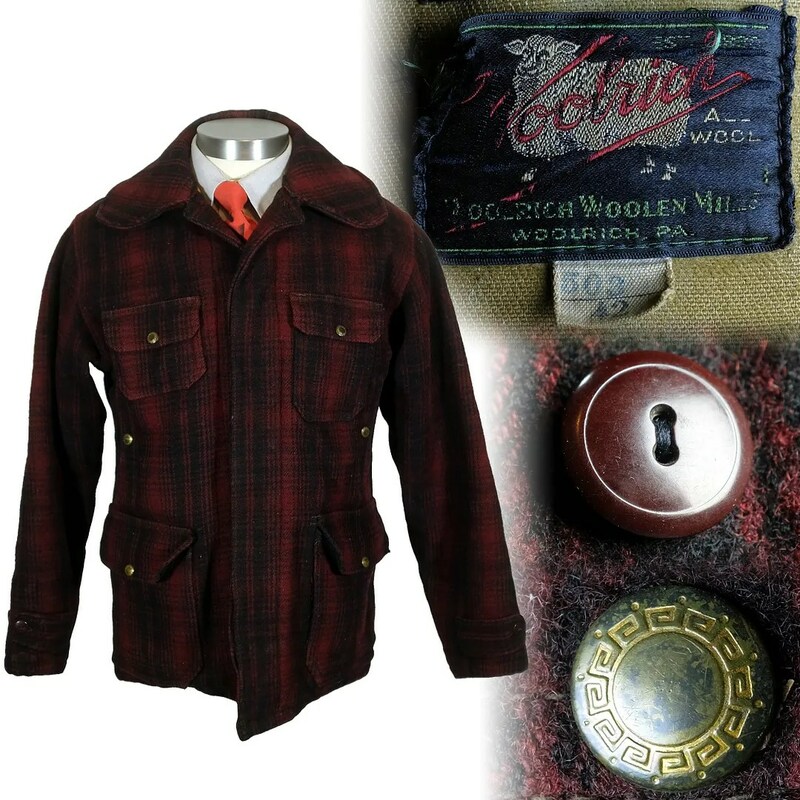 This vintage pullover jacket was made in the 1950s by the Woolrich Woolen Mills of Woolrich, PA. 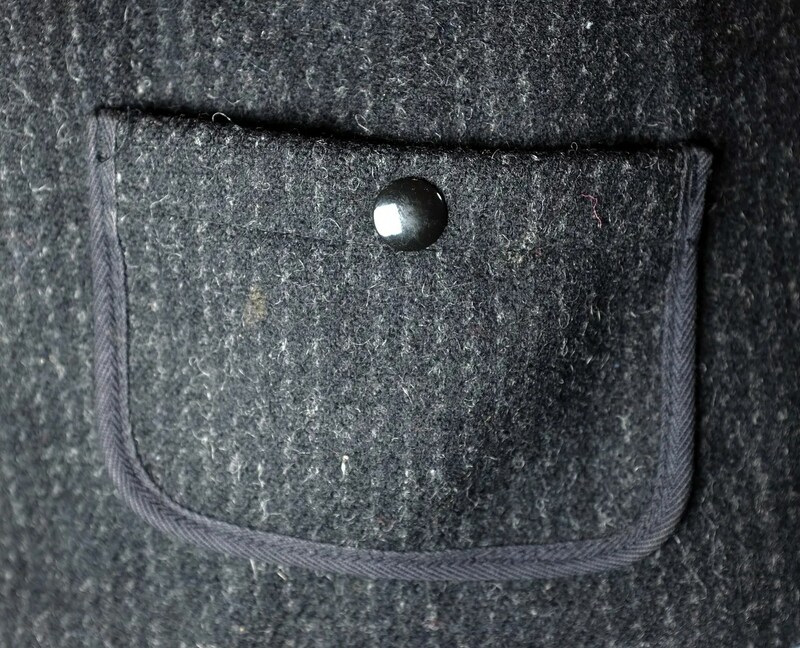 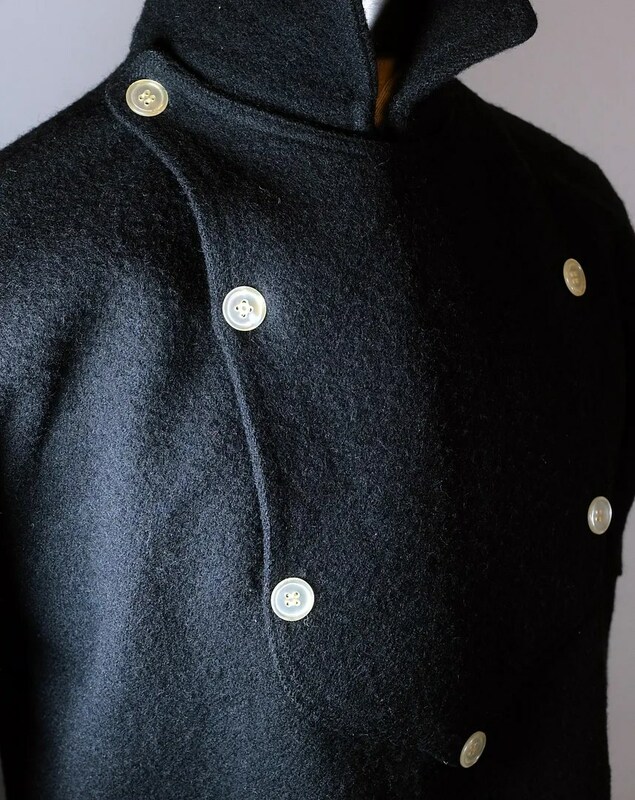 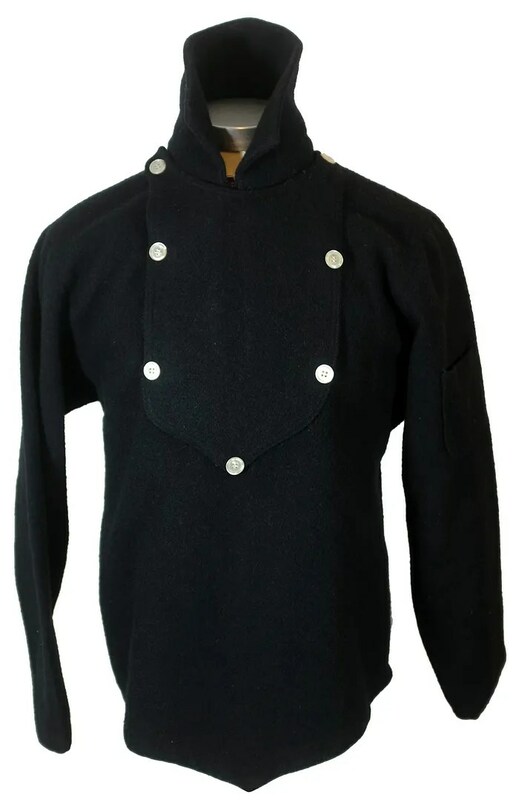 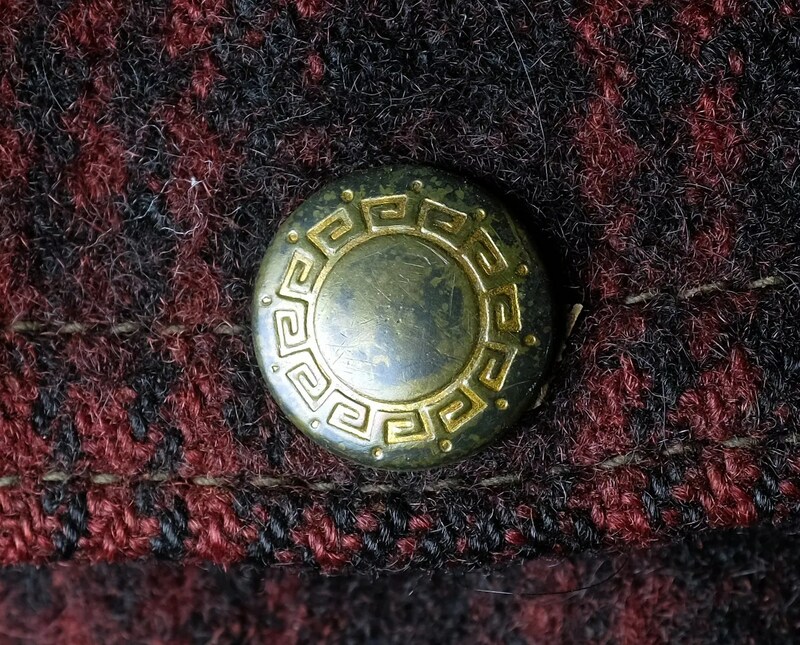 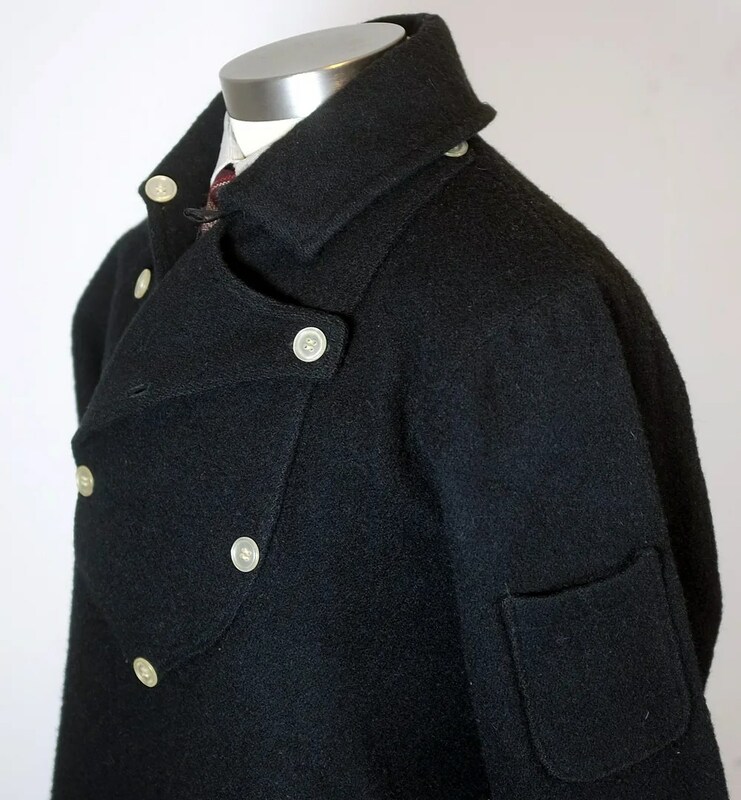 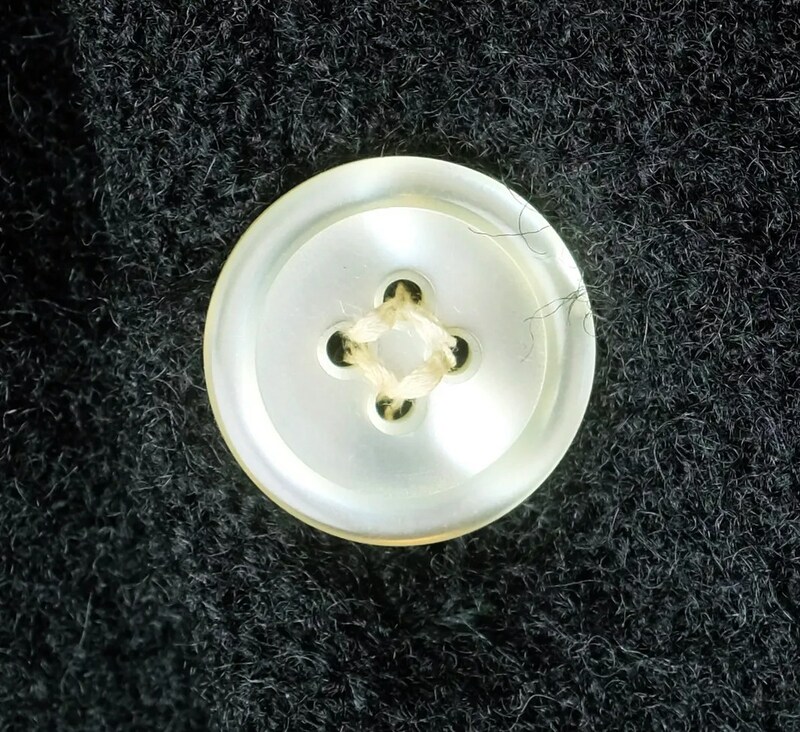 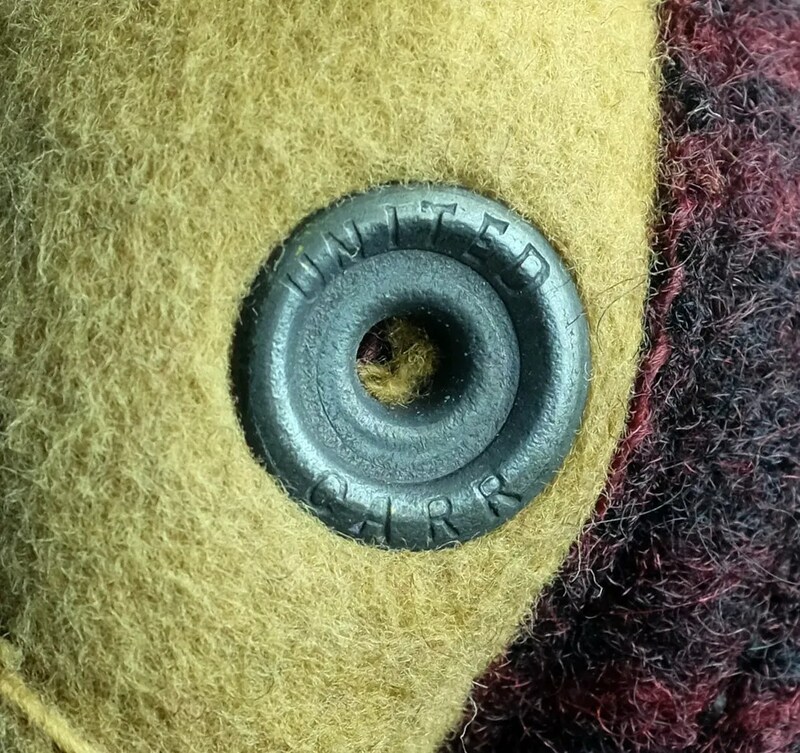 It is based on an 1800s bib front design, with a distinctive shield shaped bib and mother of pearl buttons. 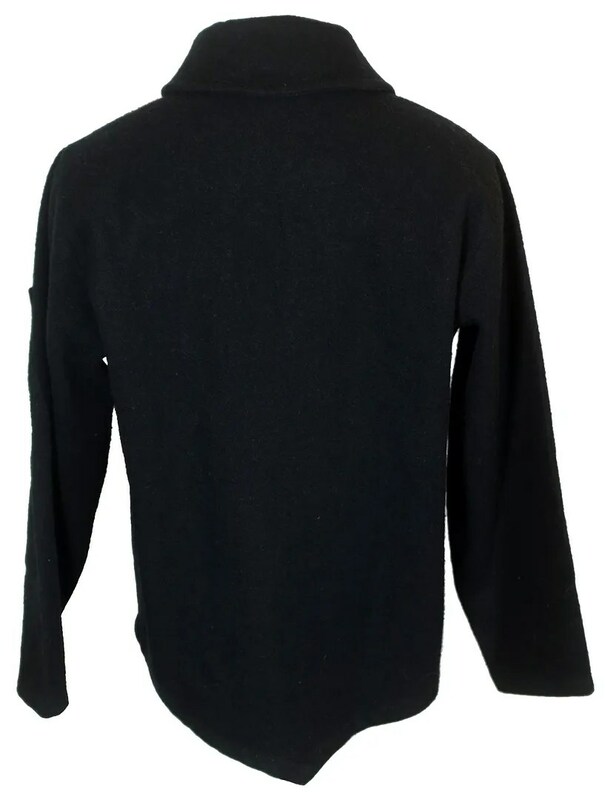 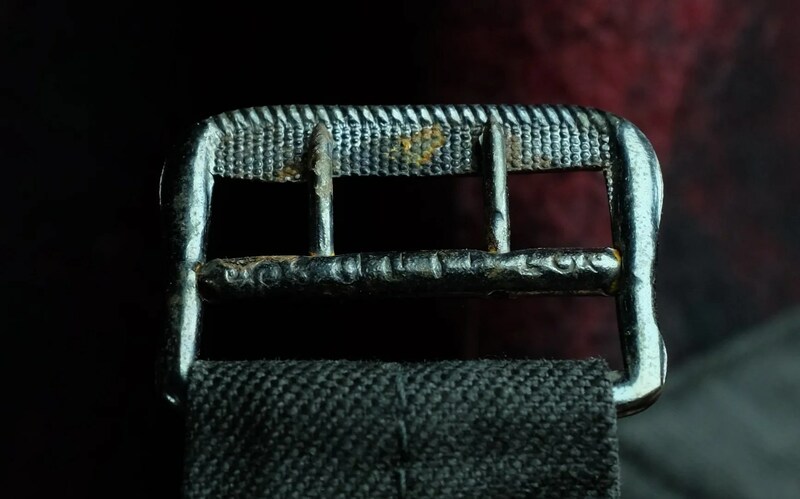 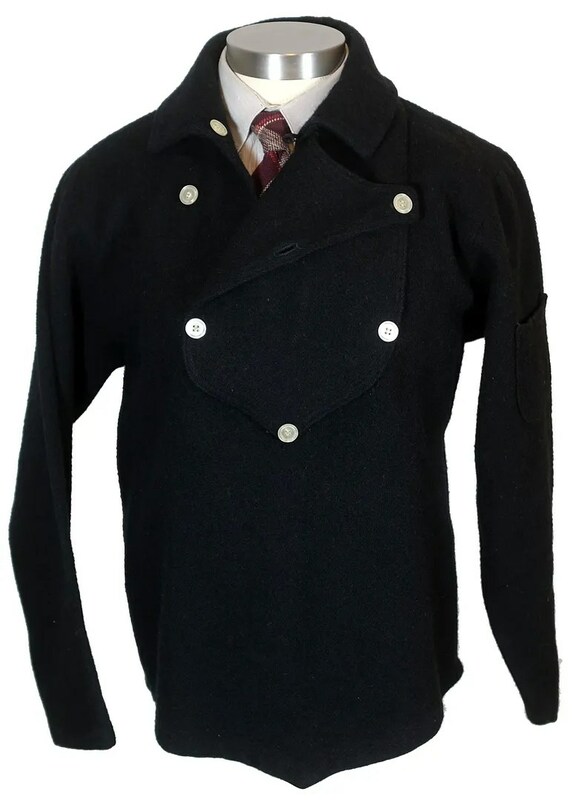 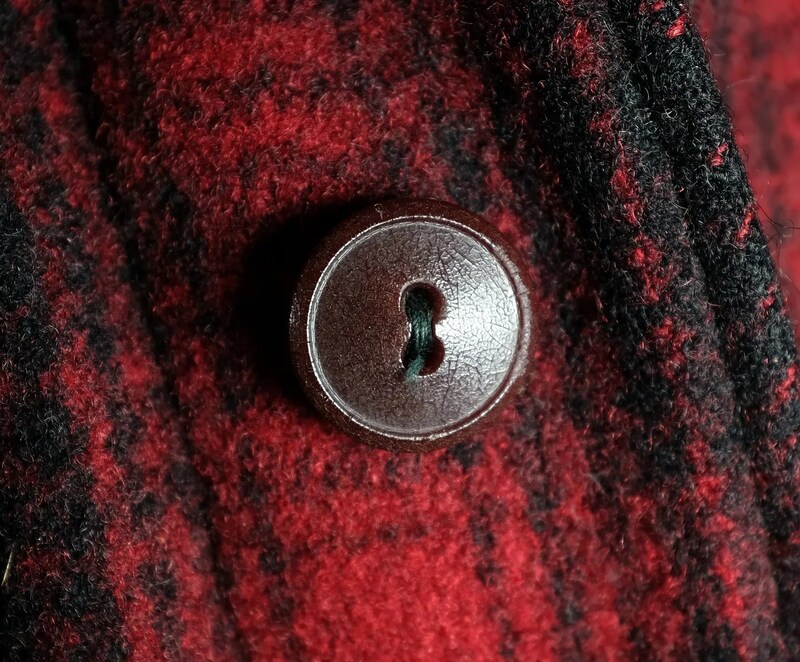 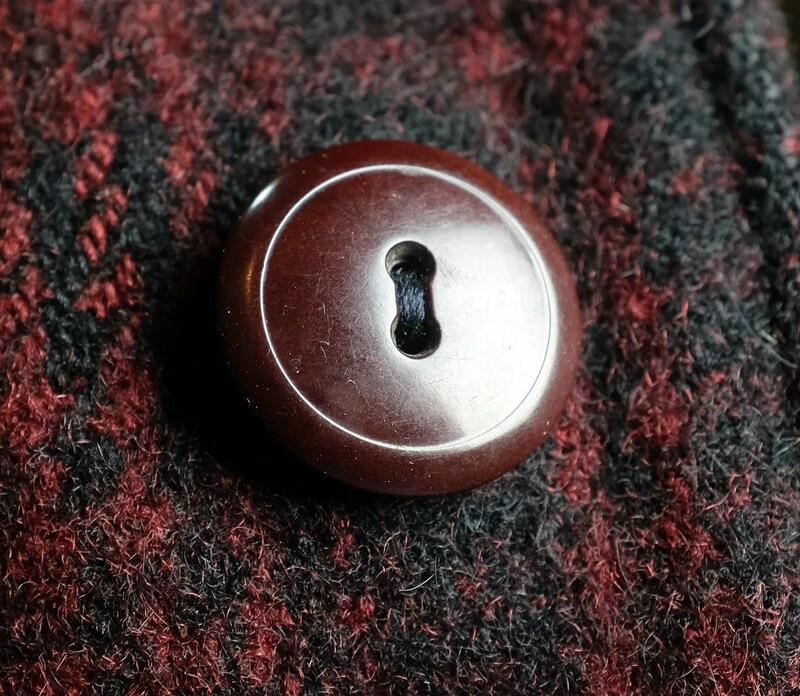 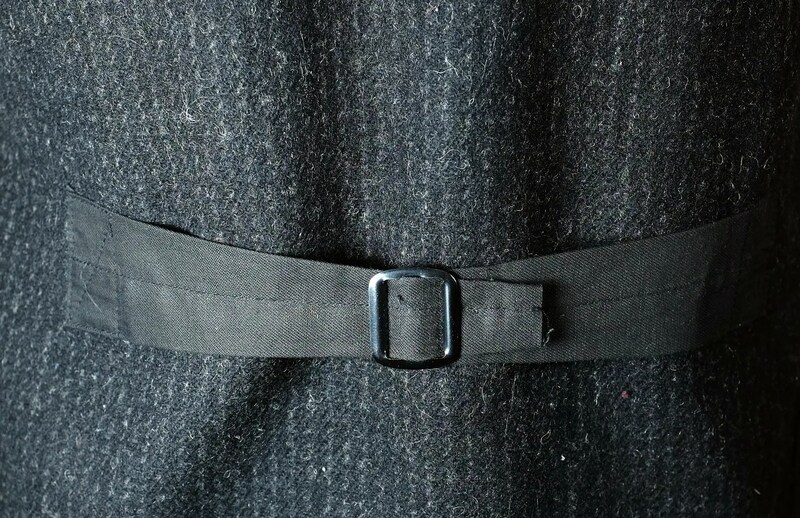 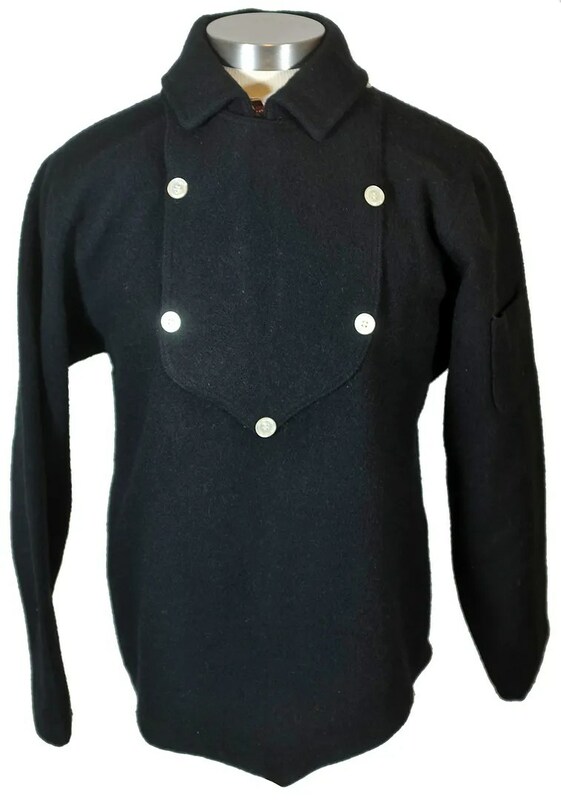 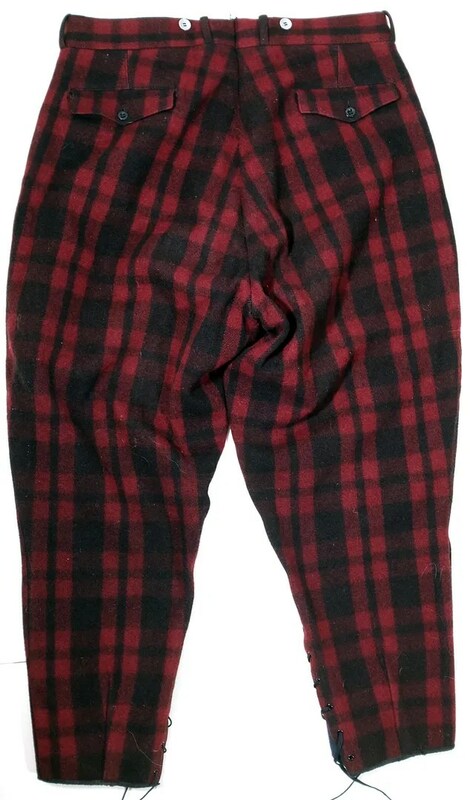 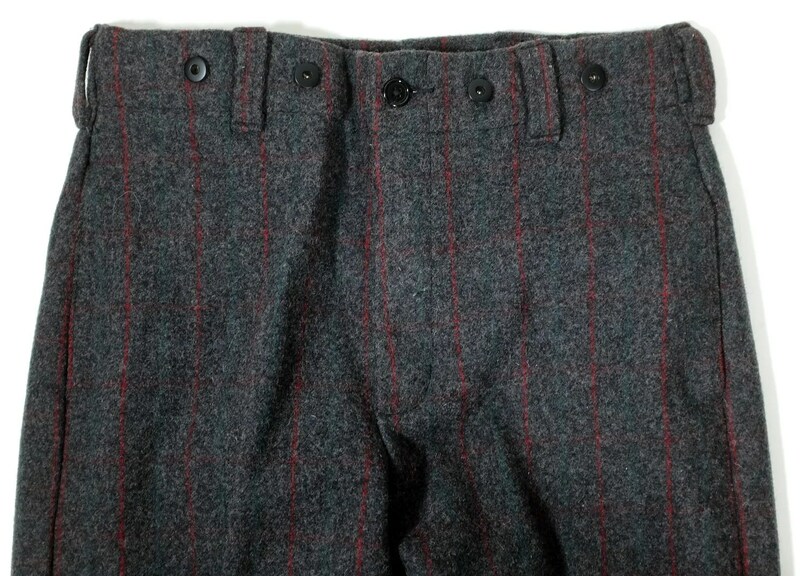 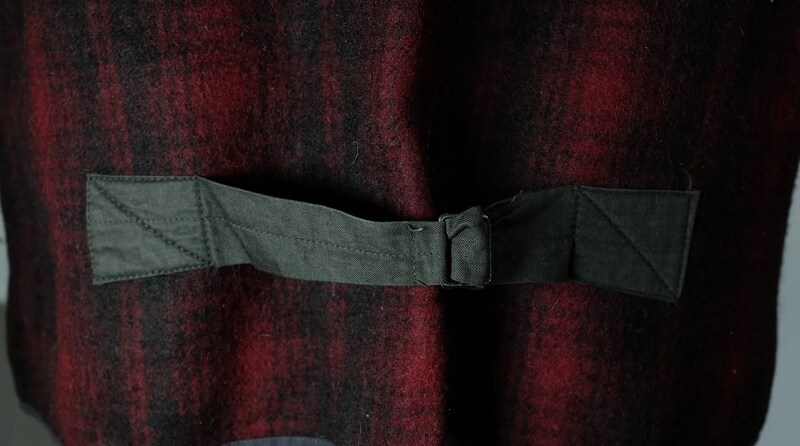 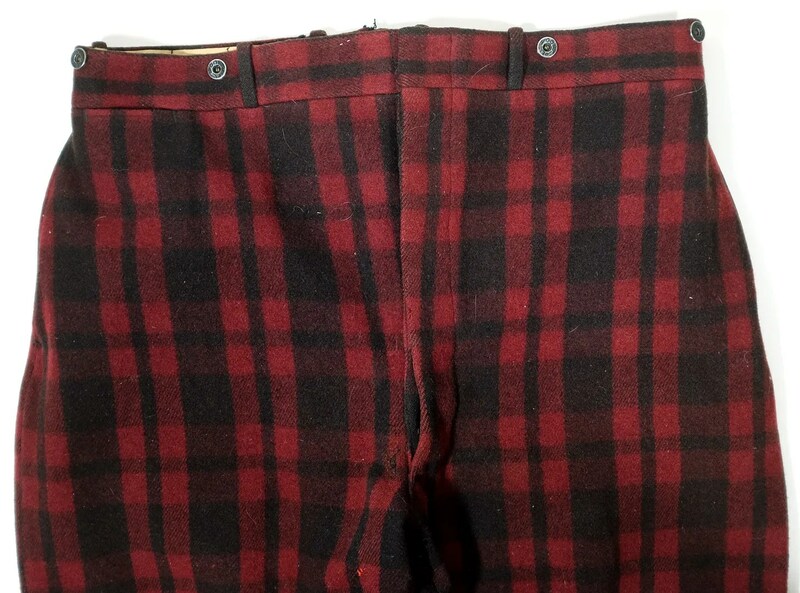 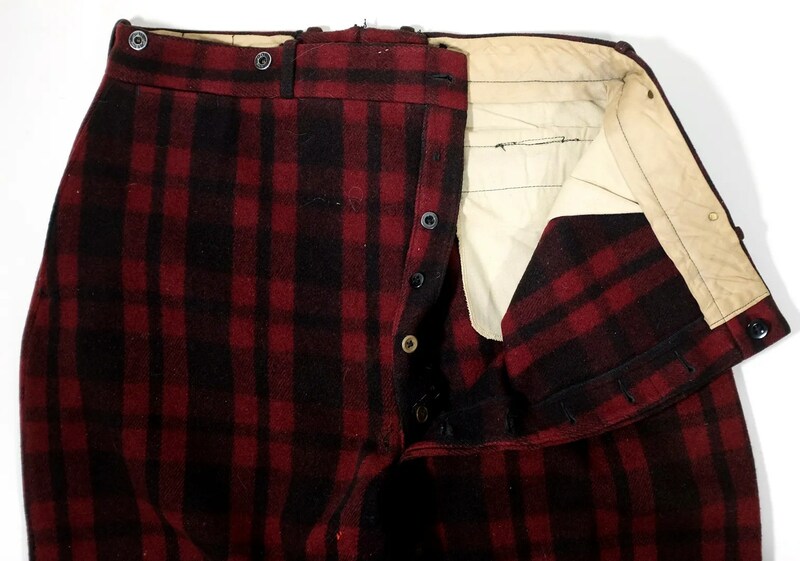 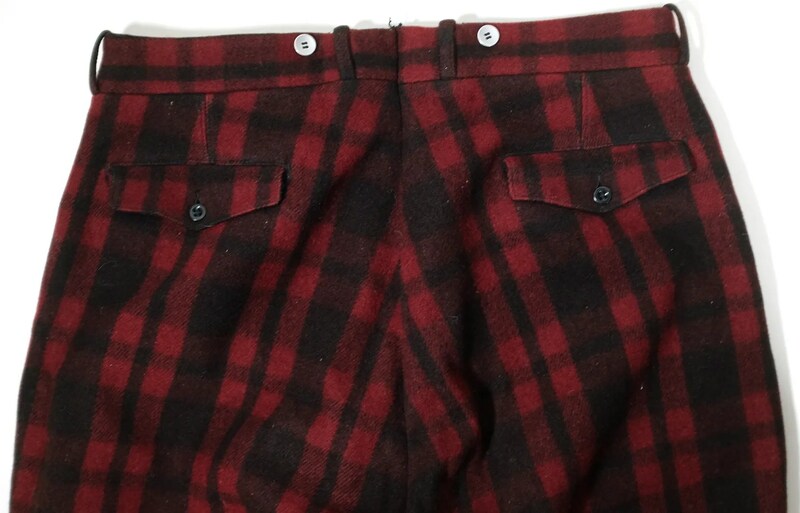 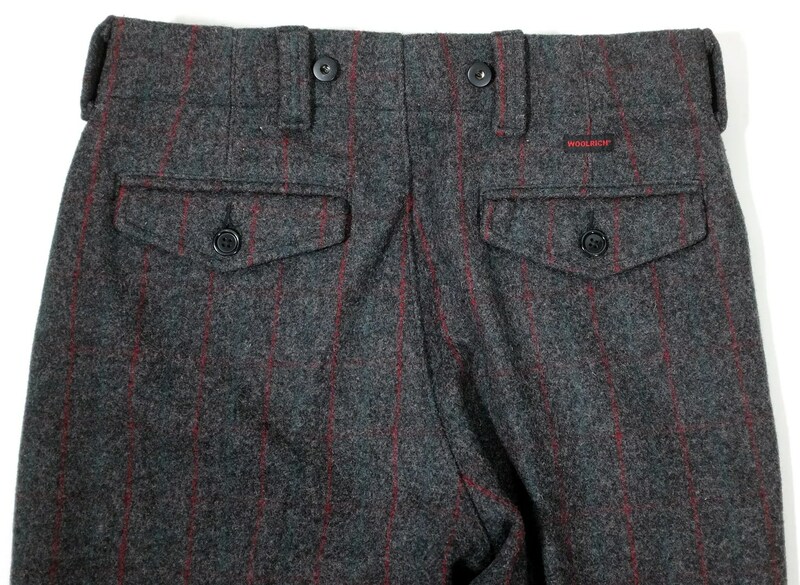 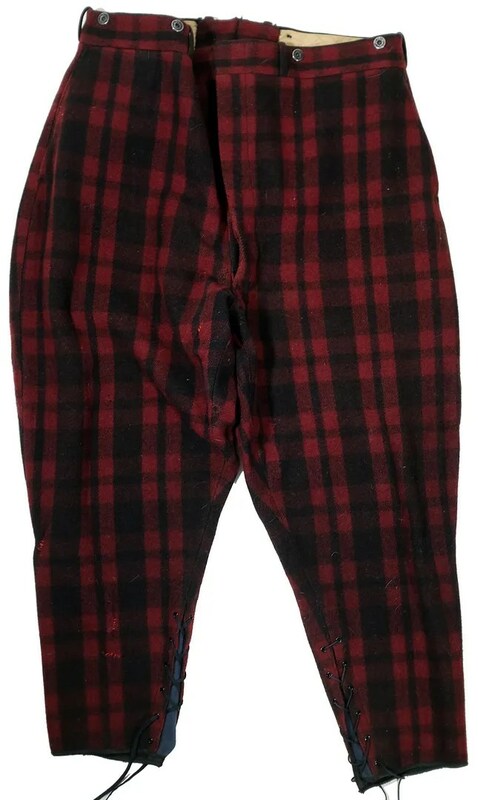 It has a cigarette pocket on the sleeve and tails which come to a point front and back.